Venue : The Taj Residency, Bangalore. It was the recreation of a historic moment in the history of the world of wine – the Wine Society of India (WSI) hosted a blind tasting of New World versus Old World wines at the Taj Residency in Bangalore, led by the inimitable wine expert, Steven Spurrier, chairman of the Board of Wine Advisors, WSI, who is otherwise famous for leading the blind tasting event in Paris in 1976. That tasting turned the French wine industry on its head by rating wines from the USA higher than French wines (subsequently referred to as the Judgement of Paris. The evening of July 3rd commenced with a glass of chilled Bouvet Ladubay bubbly. 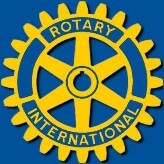 Members of the Wine Society of India, the Rotarians Wine Fellowship of India, the Bangalore Wine Club, and numerous invitees sat down at tables of 8 or 10. Steven Spurrier and David Banford, director, WSI had selected six wines for the blind tasting – two whites and four reds.The New World wines were pitted against the Old World, but guests were not told which was which until later.As pencils and score sheets came out, a first pair of wines (both white) were tasted. The first, golden yellow and fruity, found approval from everyone who guessed correctly that it was New World (Montes Alpha, a Chilean Chardonnay), as compared to the more complex French Chablis (Domaine Laroche) that followed and kept everyone guessing. The first red that followed (La Brancaia Tre 2005 from Italy) also found as much approval as did the Rolf Binder Grenache - Shiraz from Australia -- the guesswork was doing fine so far! The final pair of reds (a 2000 St Emillion Bordeaux from Chateau Magdalene) got a thumbs up and quite a few correct guesses about its regionality, even as a new 2006 red from South Africa (a Le Bonheur Prima Merlot - Cabernet Sauvignon) got a few appreciative nods as well. The crowd was not faring too badly at all. In between the tastings, Steven Spurrier kept the crowd listening in appreciative silence as he talked about everything from the Judgement of Paris (naturally! ), to his early adventures in barge buying in France and a description of the Australian version of wine poker. He also Commented on the new trend of complex and detailed wine terms (the best critics would once just say “bags of fruit” and that worked – now tasting terms can fill books and mean little) and how he conducted a wine event with Hugh Johnson for his old school, Rugby. By the end of it, Spurrier’s dry wit and humour turned a basic exercise in wine tasting into a fun-filled, memorable evening! 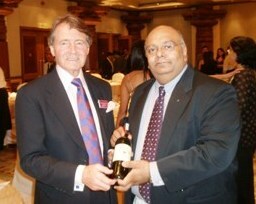 The event was organized by the Wine Society of India, and Mr. Steven Spurrier is the Chairman of the Board of Wine advisers. The legend Steven Spurrier, took us through a tasting of old world and new world wines. We had a chance of tasting 6 wines blind and express our opinions.